Environmentalists reacted with dismay after new EU figures for 2013 showed that the flagship Emissions Trading System (ETS) was still over-supplied by 2.1 billion carbon allowances and data on carbon offsetting was partially withheld. The ETS is supposed to drive carbon dioxide emissions reductions in Europe and help EU states meet the bloc’s climate targets. But at €5 per tonne of CO2, carbon allowances provide industry with little incentive to switch from cheap coal to more expensive alternatives, such as renewable energy, or gas. Gas plants have been mothballed in countries such as Germany, which saw its emissions rise by 2% last year, despite an ambitious plan for decarbonisation. Germany is arguing for discussion in the EU to go beyond a market reserve mechanism proposed in the 2030 climate and energy package to cover deeper structural change, involving a reduction in the ETS’s cap mechanism. The climate commissioner, Connie Hedegaard, welcomed an estimated 3% decrease in greenhouse gas emissions by firms participating in the ETS, in the new figures. “However, there is still a growing surplus of emission allowances that risks undermining the orderly functioning of the carbon market,” she said. 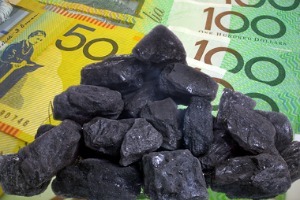 With emissions at 1.9 billion tonnes in 2013, the campaigning group Sandbag estimates that the market is currently flooded by over one year’s-worth of spare allowances. Economic recession and an over-allocation of free credits to industry have both played a part in the problem, with carbon offsets from industry now taking up 1.2 billion credits of the current surplus. Offsets allow smokestack industries to trade off their pollution by paying for certified emissions reductions elsewhere. But these have often involved scams and human rights abuses, only exposed by NGOs and journalists with access to the raw data. This year, the Commission originally withheld the information on carbon offsets and, in the future, plans to stop publishing any data about the volume and type of offsets released into the scheme at all. But after protests by environmental watchdogs such as Sandbag and carbon Market watch, a breakdown of the types of offsets in the ETS – significantly less than was previously published – appeared on 14 May this year. “In the absence of clear rules for companies to stay away from dubious projects that are tainted by human right abuses, we need transparency in order to hold companies accountable for their investment decisions,” said Eva Filzmoser, the director at Carbon Market Watch. The ETS covers more 12,000 power plants and manufacturing installations in Europe, as well as intra-European flights. The scheme has proved influential. Although Australia has abandoned plans to begin carbon trading in 2015, Thailand and Vietnam have both unveiled plans to launch ETS’s, China is due to launch pilot schemes across several provinces this year, and India will ring the bell for trading on an energy efficiency market in 2014. Mexico and Taiwan are also planning to introduce carbon markets. You could argue that an off-set which originates from a scam is a subsidy – whether knowingly obtained or not. DG Energy is currently investigating subsidies in Europe – trying to nail them down. This makes it somewhat strange that the same EC albeit a different DG is making it more difficult to identify scam/subsidies. It does, however, fit with a pattern – that elements in DG Clima will do anything to ensure the success of the EU- ETS even if it means suppressing data. One question to ask – are they making the “suppressed” data available to their colleagues in DG Energy? Revenues from EU ETS goes to MS themselves. Thus the MS could take with one hand & give with another: reduce drastically EUA availability – this would drive up wholesale prices up & in turn drive up retail prices. However MS could then reduce elec taxes by a matching amount – in turn this would do what ETS is supposed to do – reduce carbon emissions, encourage RES. Even Poland could do this – & it would have no impact on energy prices. The key question is: why are MS not doing it??? ?